The 8th-ranked Cincinnati Bearcats utilized an 18-2 run to open the second half and erase a 13-point deficit, a surge that proved devastating to the Tigers' upset hopes. 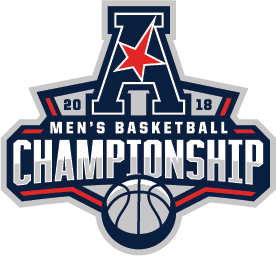 With 17 points and 12 rebounds from American Athletic Conference Player of the Year Gary Clark, Cincinnati may well have ended the Tigers' season and the Memphis coaching tenure of Tubby Smith. Having posted a record of 21-13, the Tigers will await Sunday's announcement of the 32-team National Invitation Tournament field, their only chance at postseason play. Should they not receive a bid, it will be four straight years without significant March basketball for the U of M.
The Tigers took control early in Saturday's game, fueled by the red-hot touch of freshman guard Jamal Johnson, who hit five three-pointers before halftime on his way to 17 points in the first 20 minutes. But Johnson didn't score after halftime and Kyvon Davenport was the only other Tiger to reach double-figures in the scoring column (12 points). Memphis shot a miserable 35 percent from the field for the game, missing 22 of 27 second-half shots. Cincinnati improved to 29-4 with the win and will face Houston in the tournament championship game Sunday. The third-seeded Cougars upset Wichita State, 77-74. Should the Tigers not receive an NIT bid, offseason discussion will begin with Smith's status as head coach. Despite three years remaining on his contract, Smith seems like a casualty of efforts to bring aboard Tiger legend — and current East High School coach — Penny Hardaway. Hardaway's Mustangs will be playing in the Tennessee state tournament next week. 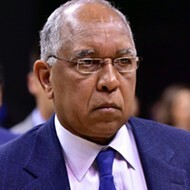 In two years at Memphis, Smith has posted a record of 40-26.